Sleeps a maximum of 8. 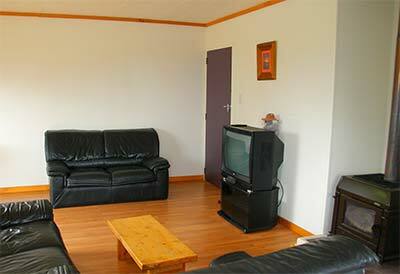 Our sun-flooded holiday house has three bedrooms, a queen , a 3 bedroom (double and a single), and a room with a single over double bunk, all with large cupboards and laminated flooring, so it’s nearly dust free. 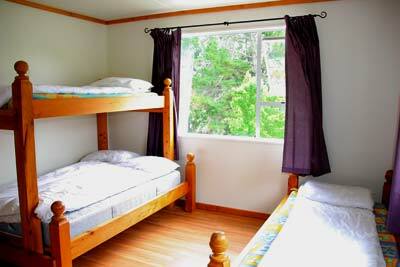 The beds are made up and the bright rooms have small electric heaters in the winter period. 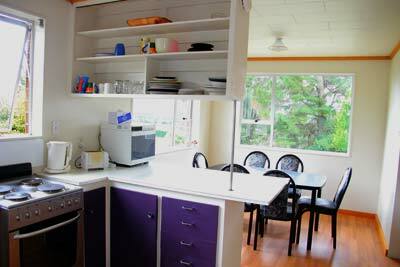 There is a large and well equipped open kitchen with a sunny lounge area, a little exchange library, a wood-burner, TV and a verandah with view of mountains and Lake Manapouri. 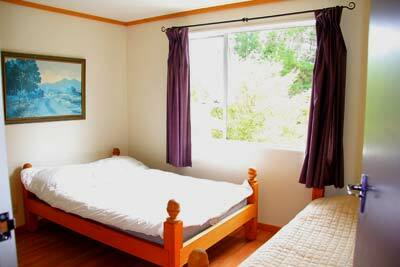 The price for this depends on the season and the length of stay. We can give great specials so please make an enquiry! 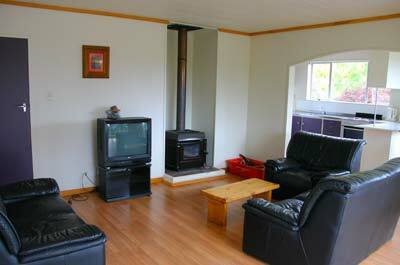 There is also enough space to store your boat and other belongings too which makes it a great holiday base. 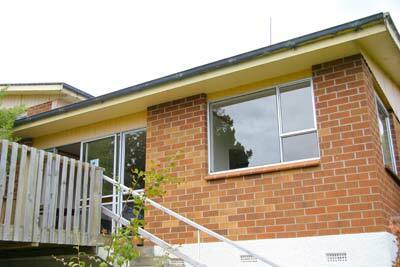 The Holiday House is sometimes used as backpacker accommodation. If you are interested please contact us. 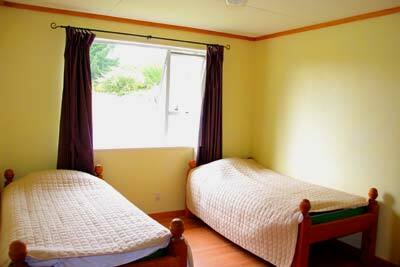 Facilities like the washing machine, dryer and the internet can be used as for the backpackers’ lodges.